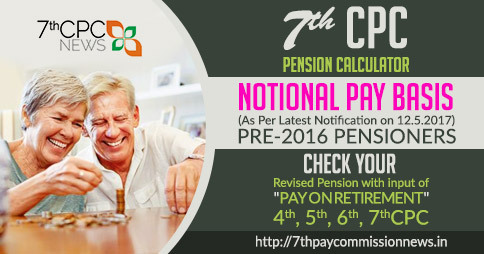 7th Pay Commission Concordance Tables for Pre-2016 Pensioners and Family Pensioners. Revision of pension will be done by notional pay fixation under each intervening pay commission based on the formula for revision of pay. Based on the fitment tables provided by the Department of Expenditure, Concordance Tables for fixation of notional pay and pension and family pension of employees who retired/died in various grades during 4th, 5th and 6th pay commission periods have been prepared and the same are enclosed herewith. I had made comments addressed to you on 18. 2. 2018, requesting you to kindly enlighten all concerned, the reason for providing two columns for pensioners, in Concordance Table 44, retiring in 6th CPC, one under the heading Min. and another under the heading Max. Also, I requested you to kindly issue General Clarificatory orders on connected matters to avoid different interpretations by the concerned authorities. It is requested to kindly reply. (G. S. Oberoi), President, AIAROSI, E 64, Sector 21, Jal Vayu Vihar, Noida(UP). 201301. I had made my above comments on 16.2.2018. 1). I request you to kindly inform the purpose of providing two different tables under the headings, ‘Min and Max’, under Concordance Table 44 for pensioners who retired during the period of VI CPC(1.1.2006 to 31.12.2015). 2). What is the pension of a pensioner with qualifying service of 34 years and 8 months, with last period of service in Post carrying scale Rs. 4500 to 5700( IV CPC Terms) for over 17 years? Is it Rs. 87550 or 67250, by using the Concordance Table at the 18th stage? 3). Since under the accepted Principle of Parity, the Pension is to be the same irrespective of the date of retirement, kindly confirm that a pensioner may choose to consider having retired under any period- 4th, 5th or 6th CPC. Further inform you that your 4th CPC basic pay is ₹ 4,800/-,,in 5th CPC ₹ 14,300/-,, 6th CPC ₹ 47,890/-,7th CPC ₹ 47890 multiple by 2.57 = 123077.30 MATRIX LEVEL 13 (GP 8700) stage 1 as ₹ 1,23,100/- 50% as Notional Pension as ₹ 61,550/- from 1/1/2016 plus applicable dearness relief from time to time. The same was reflected in Concerdance Table No. 44.. Still you are not satisfied, complaint in Pensioners portal site . The doubt arose because two different figures of Rs. 87750/- and Rs. 67250/- are pssible depending on whether the Table with heading ‘Minimum’ or ‘Maximum’ is used. I will be thankful if you could enlighten me on this point. I am convinced that under the Rules, my pension cannot be less than Rs. 67250, in any case.. I will be thankful for your advice as you are better versed with the Rules. 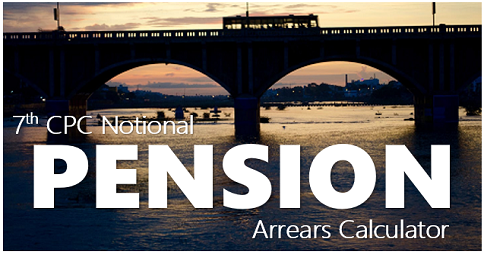 The very purpose of long Concordance Tables seems to be to allow pension at the correct applicable stage to the pensioners, depending on their completed years of service in the last Post, before retirement. I shall be thankful for your early reply. There is some mistakes, omission of wards/letters in that above, sorry for it. If you want any clarification write to my mail : [email protected] ………. Thanks. I intentionally did not give any intricate details to keep my query, as simple and straight-forward, as possible, and also to save your valuable time. I entered Srvey of India, Group ‘A’ service in 1954 through Open UPSC Competitive Exam. held in 1953(in which I stood First) and retired on 31.3.1988 as the senior-most civilian Director of the Department. I was promoted to STS post in 1958. Thereafter, I was promoted to the JAG post of Deputy Director (equivalent to SE, CPWD) on 15.5.1970. I was promoted to the next Functionally Higher Level Post of Director on 10.12.1980. I retired on 31.3.1988. My date of birth is 1.4.1930. 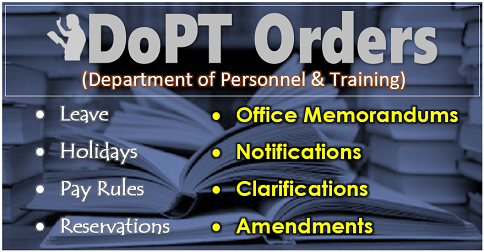 Since the Post of Director(which I held on retirement) became it became defunct in 1989(with change of Recruitment Rules), no Revised pay for that Erstwhile post of Director was Recommended by the V CPC, as this post having become defunct (in the intervening period) did not constitute a post of the SOI Cadre for their consideration, at that time. However, they duly recommended in Para. 168.3 of their Report, that any post for which they omitted to recommend Revised scale w.e.f. 1.1 96 should be given a COMMENSURATE REVISED SCALE DULY MAINTAINING HORIZONTAL AND VERTICAL RELITIVITIES. Since, inspite of all efforts made, no ‘Commensurate’ scale(which presumably is for the Chief Engineer(SAG), being the next higher post above SE) has yet been allotted for the Erstwhile post of Director from which I retired, I am forced to accept my pension for the lower post of Deputy Director(equivalent to SE, CPWD) to which I was promoted on 15.5.1970 and which I am supposed to have held(for over 17 years) till my retirement on 31.3.1988 (without getting any benefit for my promotion). That is why I am claiming for pension to be fixed at the 18th stage in Concordance Table 44. With the details of service now furnished by me, kindly confirm(if so), that I am not entitled to get my pension fixed under the Table with heading ‘Minimum’. Also, that my pension is to be fixed with reference to 18th stage of Table 44. I will be glad to furnish any other details you wish to have to give your opinion. I am intentionally not adding any extra details which I consider are not pertinent to the issue. The scale of pay(of Deputy Director, SOI) before its Upgradation on 1.1.96 was Rs. 3700/- to 5000/- in IV CPC Terms. 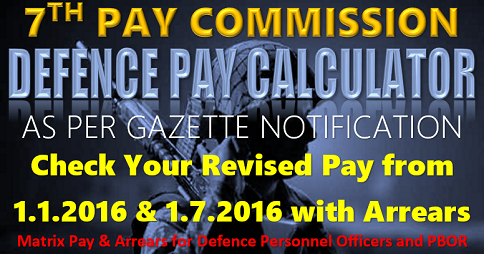 Upgrade Pay scale in V. CPC Terms:: Rs. 14300/- to 18300/-. The scale of pay for the Erstwhile Post of Director was Rs. 4500/- to 5700/- in IV VPC Terms. Its Upgraded Revised pay w.e.f. 1.1.96 has not yet been given. PS. I can send copies of pertinent letters I wrote to DoP&PW, on your email. But I do not want to burden you unnecessarily. GS Oberoi. Thank you for your advice of 8.2.2019 for getting the matter settled through CAT or Pensioners, Adaalat. I have all along been pursuing with the departments- SOI, DS&T, DoP&PW, DoE, etc. At my age(nearing 89 years), I have no energy to go through alternative means. I am thankful to you that at least I have been getting response to my queries. Hope you don’t mind my .correspondence with you. Can you give your expert opinion whether it is reasonable on the basis of actual bare facts I supplied to you, for me to claim pension on the basis of 18th stage in Concordance Table 44. Further, what is the purpose behind two sets of tables under the headings, ‘Min and Max’ for retirees during 6th CPC Period. If you don’t mind, may I know whether the Gov’t. has engaged you for replying to public queries on the internet or you are doing it on your own, as a Social Service. With regards and best wishes, GS Oberoi, Noida. I am doing Social work, to spend time continuing my knowledge with used in service after retirement. Thank you for your reply of 9.2.2019. According to my understanding of use of Concordance Tables, I feel that their purpose is to allow fixation at the 18th stage for one who has put in over 17 years ‘ service in the last post, before retirement. My juniors who retired in this post with less than 18 years’ service are drawing more pension than Rs. 61550. That is a glaring Anomaly. The purpose behind two different tables with headings, Min and Max is not understood by me. Could you kindly explain? Also, service in different periods should not result in different pensions. I am happy to find that you are spending time usefully after retirement and enlightening many on the Rules. With best wishes, GS Oberoi. From your letter, it appears that a pensioner with my length of service would be entitled to different pensions depending on whether he retired in 4th or 6th CPC Periods. This goes against the Principle of Parity! With good wishes, GS Oberoi. 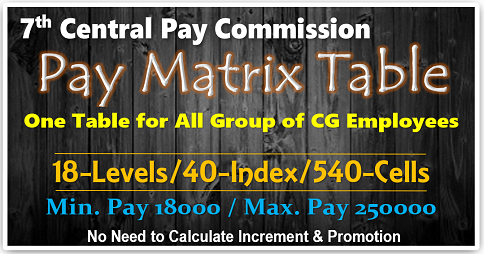 Give elaparately with examples of last pay of 4th & 6th CPC. please. 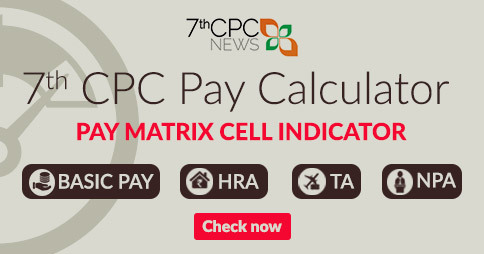 Sir, You can please see in this site : https://7thpaycommissionnews.in/4th-5th-6th-and-7thpayscales……… and compare with 7th CPC MATRIX TABLE. If any parity is there please so it. Further informing you that the Pension Rules are changed (upto 5th CPC there was minimum qualification is on completion of 33 years only) as FULL PENSION . From the 6th CPC it was added GRADE PAY and 50% of last basic pay as PENSION. 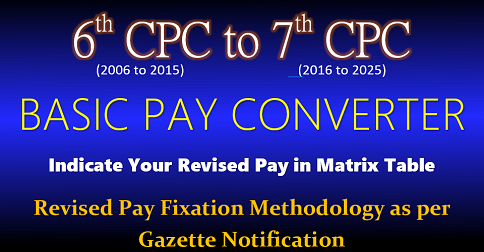 Pay Scales for designations/promoted posts were removed as in the 7th CPC as MATRIX LEVELS as per the pay ranges.. Any other clarification required please mail to my I’d .Thanks. Sir. But the Post was not recommended any Revised pay scale by V CPC as it had become defunct in 1989 with the change in Recruitment Rules. Presumably, it was to be appropriately upgraded to the scale of Chief Engineer, CPWD(Rs. 18400/- to 22400/- ,w.e.f. 1.1.96) to maintain Horizontal and Vertical Relativities. However, since no Commensurate Revised scale for this Erstwhile Post has still been notified as required under Para. 168.3 of V CPC Report, in spite of all efforts made, I am forced to claim my pension in the post of Deputy Director, as if I was not promoted to any higher Post after 15.5.1970, till my retirement on 31.3.1988. That is why I am claiming pension at 18th stage in Concordance Table 44. The doubt, however, arose as two different figures of Rs. 87750/- and 67250/- were possible. I request you to enlighten me on my claim. As pointed out earlier, my juniors who retired from this post with less service than 17 years in the post are drawing much higher pension than the minimum of Rs. 61550/-. Thanking you. I am intentionally keeping my query simple to save your time. I can send you all the details on your email you have kindly supplied. But I don’t want you to spend so much of your valuable time on this case. Thanking you again. With regards and best wishes, GS Oberoi. Noida. I retired from the post of Deputy Director, Survey of India(a Central Engineering Service) on 31.3.1988. This Post (being equivalent to SE, CPWD), was Upgraded and given the scale of Rs. 14300/- to 183oo/- (corresponding to Rs. 4500/- to 5700/- in terms of IV CPC), w.e.f. 1.1.96. All the Deputy. Directors, in service on 1.1.96 in the Survey of India were, accordingly, PLACED in the Scale of Rs. 14300/- to 18300/- from 1.1.96. The scale of pay for the Post, during my service was, however, Rs.37oo/- to 5000/- The last pay drawn in the lower scale then prevailing is, therefore, IRRELEVANT, for the purpose of my Pension fixation on 1.1.2016. The only proper course, therefore, is to use the applicable Concordance Table No. 44 for the Post, provided by the Gov’t., for the purpose. Since the Concordance Table 44 for Retirees during IV CPC period does not cater to a pensioner who has served for over 13 years in that post before retirement, I have used the Table applicable to those who retired in VI CPC period, as the Pension is to be the Same, IRRESPECTIVE of Date of Retirement under DoP&PW OM of 17.12.1998, for Modified Parity w.e.f. 1.1.96, now extended to Full Parity from 1.1.2016, by use of applicable Concordance Tables provided for the purpose. I served in that Post for over 17 years before retirement. The doubt arose as two different figures for Pension as on 1.1.2016 are possible. Kindly read my query to DoE and DoP&PW, again and clarify. It is also important for the DoP&PW to clarify to All concerned through a General Order, that the Normal/Routine practice of Revising pension by reference to Last pay drawn, in cases of those whose Posts were Upgraded After their retirement, is NOT to be resorted to. And that, in their cases, the Pension is to be revised by the use of applicable Concordance Table for the Upgraded scale, provided for the purpose. I would be grateful for your kind reply. Thanking you, GS Oberoi. I had made a comment on 16.2.2018 and desired to know whether a pensioner who retired from a post equivalent to S.E, CPWD with over 17 years’service in that post, would be eligible to Pension of Rs. 87750 or Rs. 67250. ANSWER TO GS OBEROI : It depends upon his average 10 months basic pay. or his last basic pay whichever is higher pay. Moreover it depends upon his last basic pay & his scale of pay at the time of retirement, not to the equivalent post. I retired from army on 31/12/2003, now my basic pension is Rs. 20067/-pm. What will be increased after beneficiaries given by the NDA government. 1. IT IS SUBMITTED THAT I HAVE RETIRED ON 31 AUG 2015 AND AS PER NOTIONAL REVISED PENSION, OUR PAYMENT FOR REVISE PENSION HAS ORDERED ON 05TH SEP 2017( FOR PRE 2016 PENSION) BUT IMPLEMENTATION HAS NOT YET BEEN DONE..
2. MAY I KNOW HOW MUCH TIME WILL REQUIRE FOR IMPLEMENTING THE ABOVE ISSUE. Most respetfully, it is submitted that two separate Fitment tables under headings, ‘Minimum’ and ‘Maximum’ have been provided under Concordance Table 44, for those who retired during the VI CPC period. For a retiree from the post of SE, CPWD(or equivalent in CE Services) with over 17 years’ service as SE, CPWD at the time of retirement, his entitlement of pension on 1.1.2016 under the two tables comes to Rs. 87,750 and Rs. 67, 250. It is presumed that he would be allowed to the higher of the two figures, as clarified by the Apex Court, that when more than one options/interpretations are possible, the one more favourable to the pensioner is to be preferred. Kindly confirm. Also, since the accepted Principle of Parity implies same pension irrespective of date of retirement, it may kindly be further confirmed that the above pensioner will be entitled to. Rs. 87,750 as his pension irrespective of when he retired. The above points may kindly be clarified in a General Order for the guidance of all Pension Sanctioning and Payment Authorities to avoid different interpretations leading to avoidable Anomalies. J 133, Sector 25, Noida(UP). 201301.